I’m a bit like a magpie, but instead of being attracted to things that sparkle, it’s anything pink. Over the past few years, the colour pink has risen to being a top colour theme for restaurants and bars. They seem to attract more and more people through instagram and other social media platforms. I myself have been to write a few pink places, but I wanted to share with you my top 3 that are instagram gold. After recently exploding on social media as one of the prettiest cafes in London, I had to include Elan Cafe as one of my favourite pink hotspots. Everywhere in this venue is instagram worthy but the flower wall is probably the best feature. You’ll have to be quick to get your photo as the particular tables there are often reserved. Here you can grab a variety of breakfasts and brunch dishes. If you don’t manage to try their breakfasts you can always go back and have plates such as sea bream and vegetable rostis for dinner. This has probably got to be one of the most famous restaurants in London. 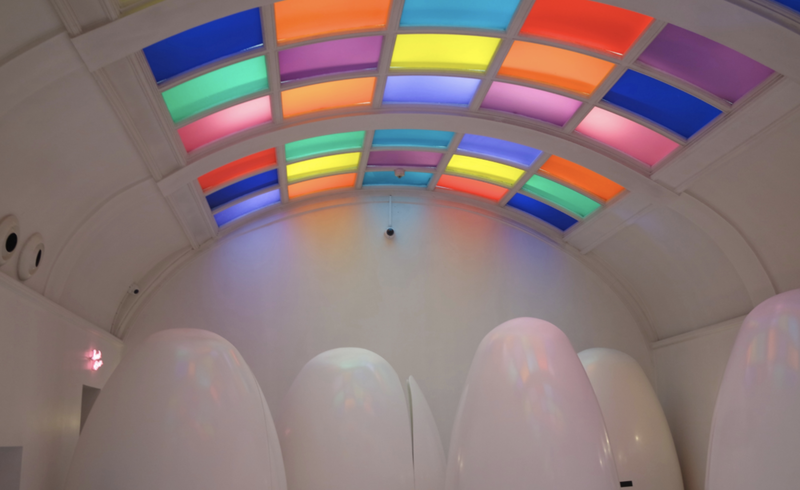 Sketch is known for it's incredibly decorated toilets, it has become a major instagram hotspot. Of course, the main dining room 'The Parlour' is like stepping into a millennial wonderland. Copper lights are situated on each table and a baby pink wash bathes the room. Not only are the interiors the main attraction for people visiting here, but the food is amazing. I recommend the afternoon tea so you can try a hefty amount of cakes and pastries and a glorious array of teas. I think every person and their dog has been here but I can't write this post without mentioning it. Before Tonight Josephine exploded over social media, I actually went after it being open for less than a week! Even then it was extremely busy and full of people taking lots of shots for the gram (me included!). What makes this place incredible is that, even though it is covered in pink and served empowering cocktails, it is not over the top at all. The decor is simple but effective and of course the neon sign causes every girl to pose in front of it. Sign up to their mailing list to grab yourself some free drinks. The Parma Violet one is a definite must try. It’s not only the main room that you’ll want to take pictures of, but the bathrooms are just as cool. Where are your favourite pink hotspots? i would love to know in the comments.